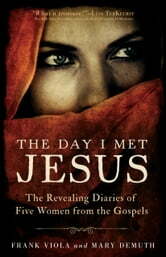 Join Frank Viola and Mary DeMuth on a fascinating journey back in time as they retell the dramatic accounts of five women who met Jesus. Each narrative is told from each woman's unique perspective, yet tightly grounded in the Gospel accounts and faithful to first-century history. Elegantly written and profoundly stirring, this book blends creative narrative with uncommon insight, spiritual depth, and practical application.